Bentos are treasures of the country, bringing you a balanced assort of delicacy in a little box. However, it's not always a win, as I just had the worst cheap bentos I've ever tasted in Japan. 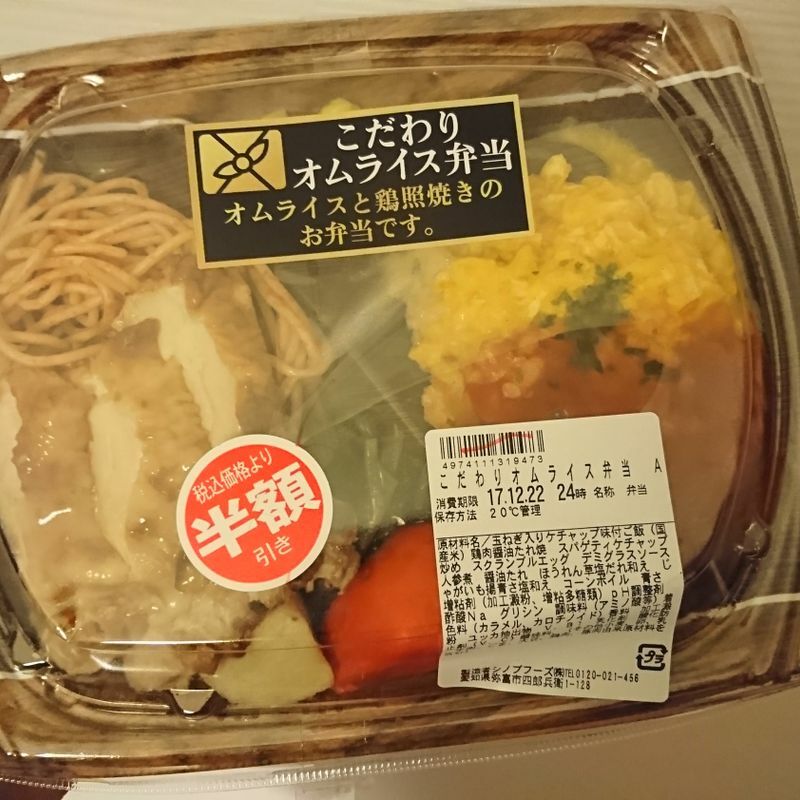 This omelet rice bento I bought from the drug store Welcia sounded decent. Omelet rice and teriyaki chicken might be strange to exist in the same box, but I like them both , and the half priced sticker convinced me. I heated it up at home as dinner, and boy, let me tell you. If you've ever eaten omelet rice, you probably understand that dish better than this factory that just put a wet pile of scramble egg on top of a super sour ketchup rice and called it omelet rice. The "tomato sauce" on top tasted like, well, ketchup too. Besides one single tiny piece of onion I tasted I couldn't find any tomato or meat or any other ingredients we would expect. The super dried chicken slices had little to no taste and the meat was super rough. Why were they placed on top of these absolutely flavour-less and ingredient-less orange spaghetti, by the way? 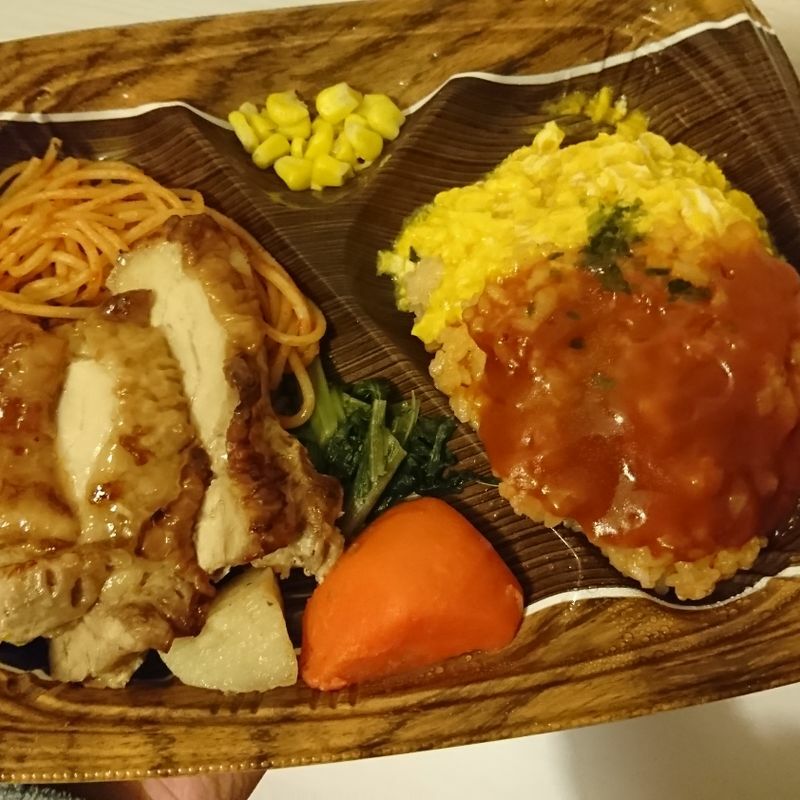 It's like they pulled out random slips of paper out of a head to call it bento. To make this more like a real bento, they added some veggies too which include: dried corns worse than ones out of a can, these extremely salty spinach that overpowers anything you eat, a tiny slice of potato slight bigger than my thumb nail, and the "best" part of the bento which was a piece of cooked carrot, and I've never thought carrot can be the best. Since the bento was made in Aichi, those living in other parts of Japan might miss out on this bento. Lucky you.